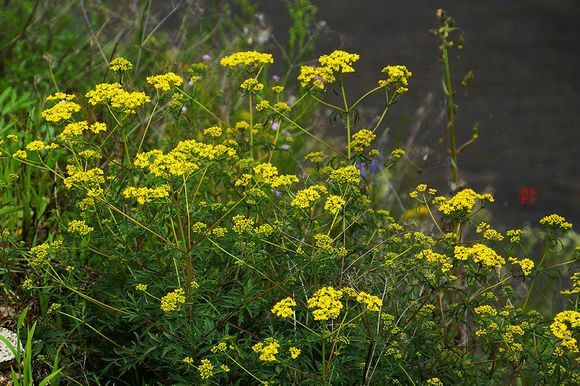 The drug is the dried whole herb of Patrinia rupestris (Pall.) Dufr. (family Valerianaceae), growing on dry mountain slopes, grasslands, at the edges of the woods, distributed chiefly in Heilongjiang, Jilin, Liaoning, Hebei, Shanxi of China. It is used to lear heat and remove toxicity, activate blood circulation, promote the drainage of pus; or the treatment of enteritis, dysentery, appendicitis, hepatitis.